1. 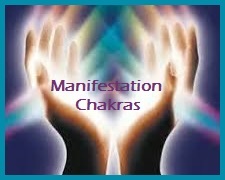 State your intention of opening the two manifestation chakras in your palms. Rapidly open and close your fingers five or six times. 2. Concentrate your attention into the center of the right palm and then into the center of the left palm. (If you are left-handed, reverse this process and start with the left hand). Picture the chakras opening up like petals. The centers of your palms will become warm and energized. 3. Bring your hands together forming a circle with the fingers almost touching. Soon you will feel the energy of the two chakras meeting. Imagine you have created an energy ball between palms of your hands. Play with this energy as if your hands were an accordion moving slowly away from each other then closer together. 4. 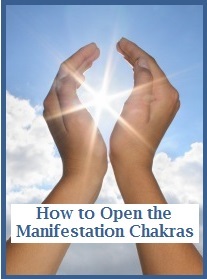 You have now opened your manifestation chakras. Place a crystal point on your hand (see top illustration). Feel the energies radiating into your palm. Turn point toward your arm and then toward your fingers. Sense the direction of the flow of energy. 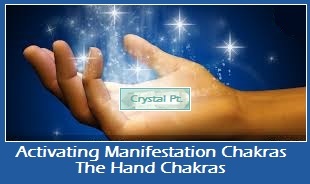 Crystal points channel energy in the direction that they face. Rounded crystals radiate energy equally in all directions.